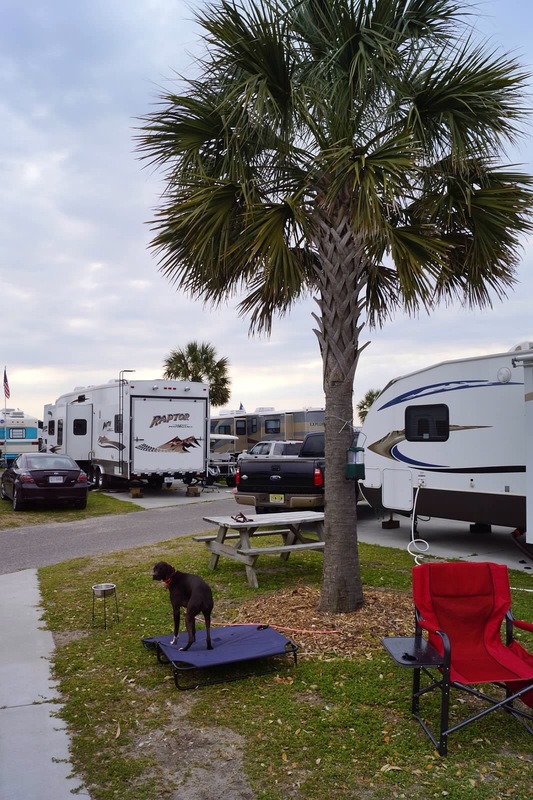 Our Easter destination with friends Jerry, Russ, and their dog Dixie, was to Ocean Lakes Campground. Ocean Lakes was quite the experience! It was like it’s own little city – over 2,000 sites, on 310 acres! It was HUGE! And everyone there had golf carts – it was quite the experience! Cello got to walk on the beach each morning, and we took day trips to Conway, Georgetown (lots of dog friendly bars/restaurants! ), and Murrells Inlet. We ate Easter dinner in our trailer – Jerry made lasagna roll-ups, and I made meatballs, sausage, and gravy. What a great time we had! 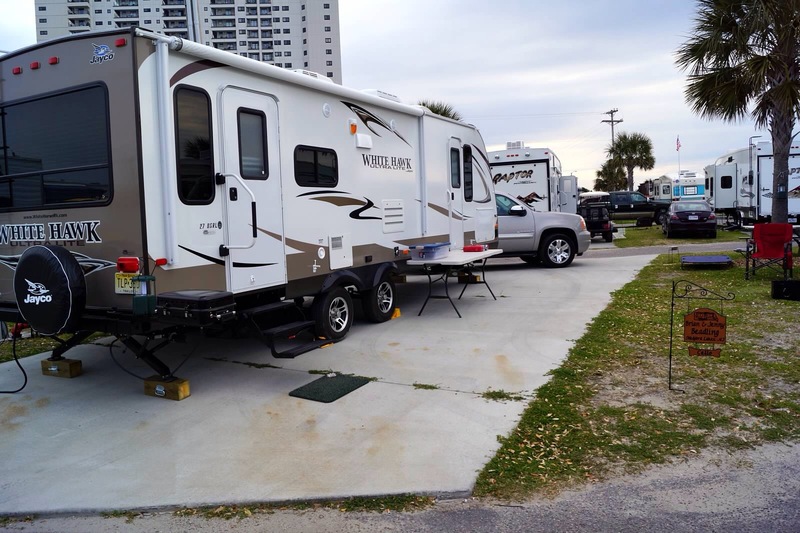 This entry was posted in Cello the Happy GLAMper and tagged Campground, Camps, Campsite, Cello, Easter, Outdoors, Recreation. Bookmark the permalink.